Set in lovely gardens on the shores of Lough Swilly just outside the village of Rathmullan, this gracious nineteenth century house is quite grand, with public areas which include three elegant drawing rooms, but it’s not too formal - and offers three dining choices, including an atmospheric cellar bar which is very relaxing and has a separate entrance as well as being accessible through the house. Donegal has an other-worldliness that is increasingly hard to capture in the traditional family holiday areas and, although it has changed through the years, Rathmullan House still retains a laid-back charm and that special sense of place - and it is greatly to their credit that the Wheeler family have developed their business (and extended the season) without compromising the essential character of this lovely place. 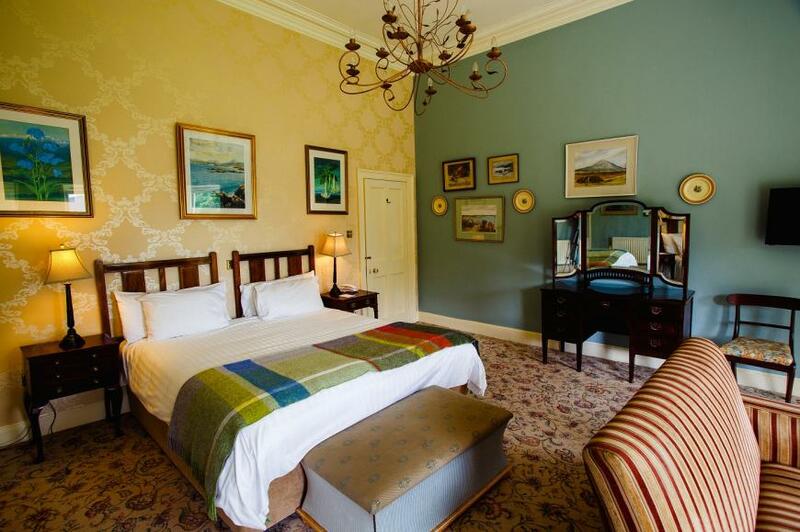 It was built as a summer house by the Batt banking family of Belfast in the 1800s and was opened as an hotel in 1962 by Bob and Robin Wheeler, whose son Mark and his wife Mary Wheeler currently run it. An impressive extension was quite recently built to a sympathetic design, providing ten very desirable, individually decorated bedrooms, and The Gallery, a state of the art conference facility for up to 80 delegates. Bedrooms in the original house vary in size, decor, outlook and cost, but all are comfortably furnished in traditional country house style. In celebration of '50 years of welcoming guests to our award winning house' (2012), the Wheeler family commissioned the Dublin-born illustrator Dermot Flynn to do an illustration representing the people and some events that have been important to Rathmullan in each decade from the 1960s; it's a delightful record of half a century of family and hotel life - make sure you have a good look at it when you're there. 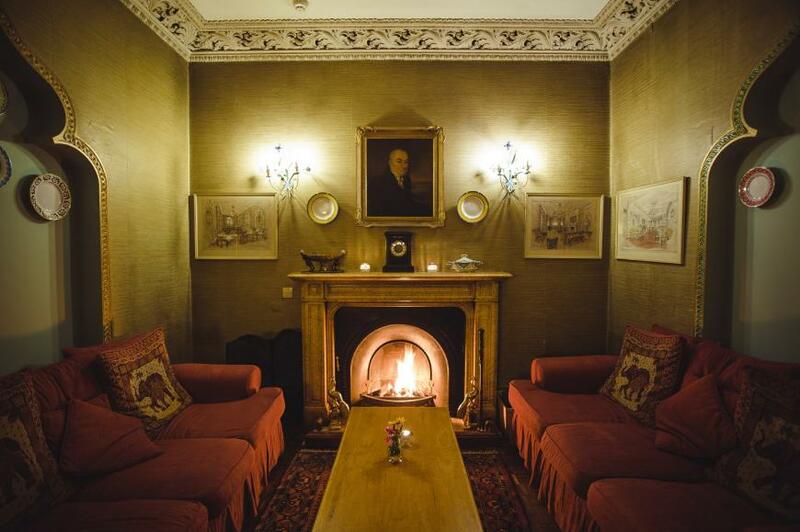 Cultural activities are an important feature of Rathmullan House too - check their website for events, which include talks and readings by prominent authors, wine dinners, even an annual theatrical performance in the gardens, ranging from Shakespeare to The Jungle Book. 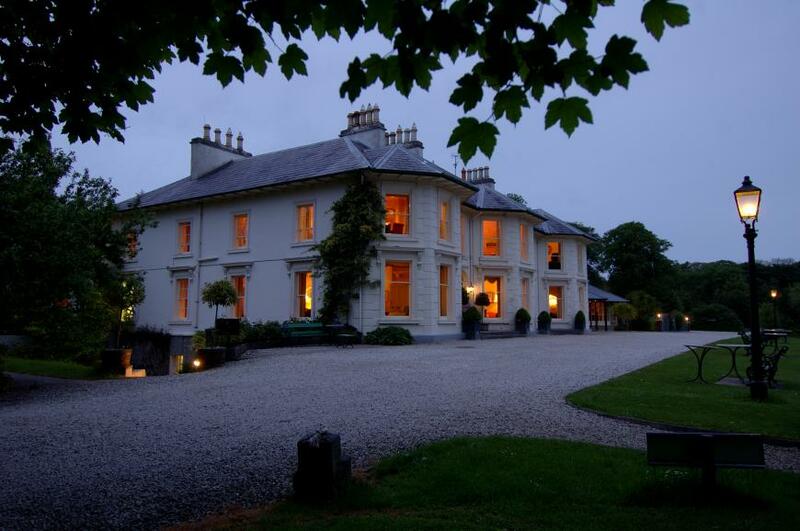 *Rathmullan House was our Country House of the Year in 2007, and was presented with the Natural Food Award in 2009. The dining room was revamped and extended in the last round of major renovations and, as its evocative new name suggests, has recently undergone a metamorphosis in terms of style - but the famous tented ceiling (designed by the late Liam McCormick, well known for his striking Donegal churches) is always retained. 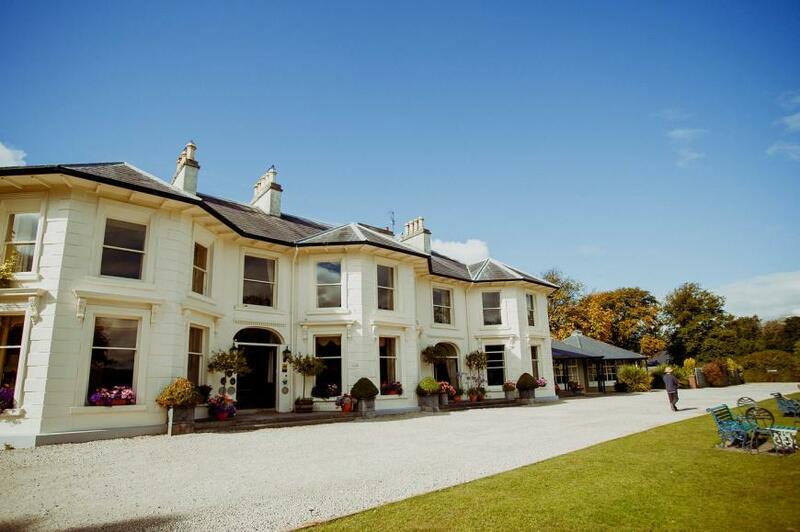 It is a pleasing space that makes the most of the garden outlook - including a soothing formal garden beside the extension - and makes a lovely setting for excellent modern Irish cooking by Head Chef Muhib and his team, as well as the tremendous breakfasts for which Rathmullan is justly famous. 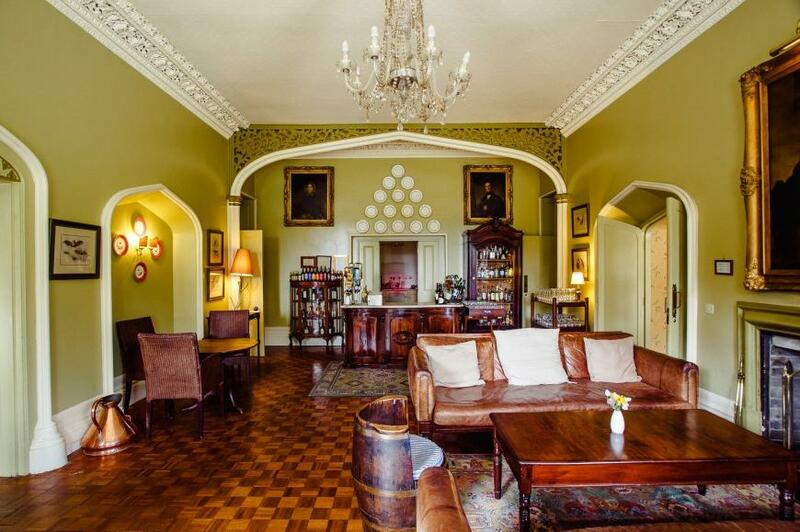 *Irish Breakfast Awards 2017, Country House category Highly Commended. Cooking here is upbeat traditional and meticulously-sourced menus are based on the very best of local and artisan foods – and, working closely with Bob Wheeler, who is a keen gardener, Muhib uses fresh produce from their own lovely restored walled garden (where a sunny corner has recently been requisitioned, to provide a nice little outdoor dining area). While fine dining has not been abandoned in terms of the high standard of food and service in the main restaurant, the ambience is now more relaxed. Lunch is served here (1-2.30pm); there's a proper little kids menu, with dishes offered in two sizes (mini and maxi). Seasonality and provenance are clearly paramount on daily menus that offer many unfussy yet gloriously celebratory dishes that make the most of whatever's at its best in the walled garden, the surrounding area and Ireland as a whole. Like everything else here, the wine list is meticulously sourced and there's a decent choice available by the bottle, 500ml carafe or 175ml glass. Excellent stone-fired pizzas are served in this atmospheric cellar bar, which has a separate entrance and an outside eating area where 'Red Ruby' (Scarpello & Co) mobile wood-fired pizza trailer, is an unexpected but practical centrepiece. Not so mobile any more though, as she had to be craned into position, so the Wheelers promptly ordered a second, larger, one to take to events. Tap Room: Stone baked pizza and locally brewed Kinnegar Beer available Sun-Thu 5pm-9pm in summer (Please check website for seasonal opening hours). Batts Bar: snack menu available, 12pm-4.30pm daily. Children welcome at 6.30pm (children's menu, high chair and baby changing facilities available). From Letterkenny, far side of Rathmullan village.